The MS in Physician Assistant is a full-time, 95-credit program that begins each fall and lasts for 36 months. One class is admitted per year. The program is cohort-based, meaning that students have a predetermined course schedule each semester and move along in the program with the same group of peers. They also take classes in one location throughout the day: the Monmouth University Graduate Center in Monmouth Park Corporate Center. As a result, students are able to support each other and work and study in a community-like atmosphere. 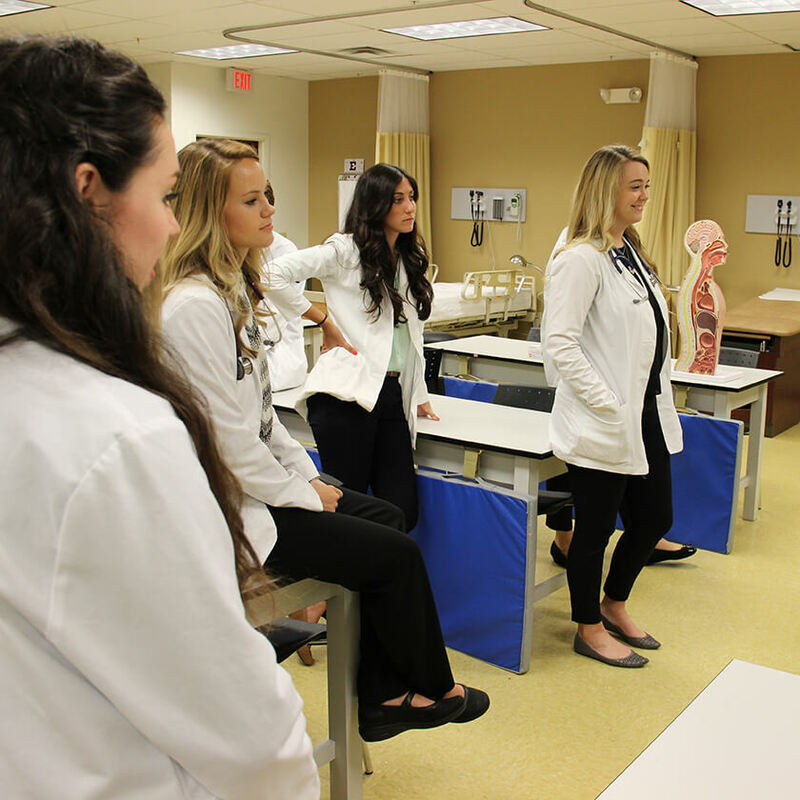 The mission of Monmouth University’s physician assistant program is to educate physician assistants to provide compassionate, patient-centered, quality healthcare in a variety of settings. Program graduates will possess clinical skills to serve a diverse patient population and have the ability to advance the profession through leadership and research. Function as high-quality physician assistants providing patient care in a variety of medical or surgical specialties. Learn how to integrate critical thinking and clinical reasoning into an evidence-based approach to patient management. Understand the importance of delivering high-value, cost-conscious care while adding quality improvement to a practice setting. Develop professional skills in order to work as collaborative members of the healthcare team. Understand and respect diversity with interpersonal skills that allow effective communication with patients, their families, physicians, and other healthcare professionals. Develop an intellectual curiosity by engaging in critical evaluation of the practice of medicine through research and publishing. To learn about how we have achieved our program goals, visit our Program Outcomes page. The program consists of two phases: the didactic phase and the clinical phase. The didactic phase is 42 weeks consisting of classroom and clinical skills laboratory instruction, with hospital and clinic experiences. The clinical phase consists of 64 weeks of clinical clerkships, where students are assigned to preceptors at various hospitals and physician offices. The average PA program consists of 48 weeks of clinical experience; having an extra 12 weeks gives Monmouth students more time to learn and prepare. * Primary Care/Family Medicine experiences completed at three different out-patient sites for 4 weeks. ** Non-core experiences may be fulfilled by a medical or surgical subspecialty clerkship. In addition, students will spend one day per week during the clinical phase back at the program for additional course work and small-group learning opportunities with the co-medical directors. Students must successfully complete all courses and clinical clerkships in order to be eligible to graduate from the program.